At Design Thing we don't just like to design, we also like to print. This enables us to oversee your project from start to finish (saving you having to go to multiple suppliers). Have you got a show coming up? 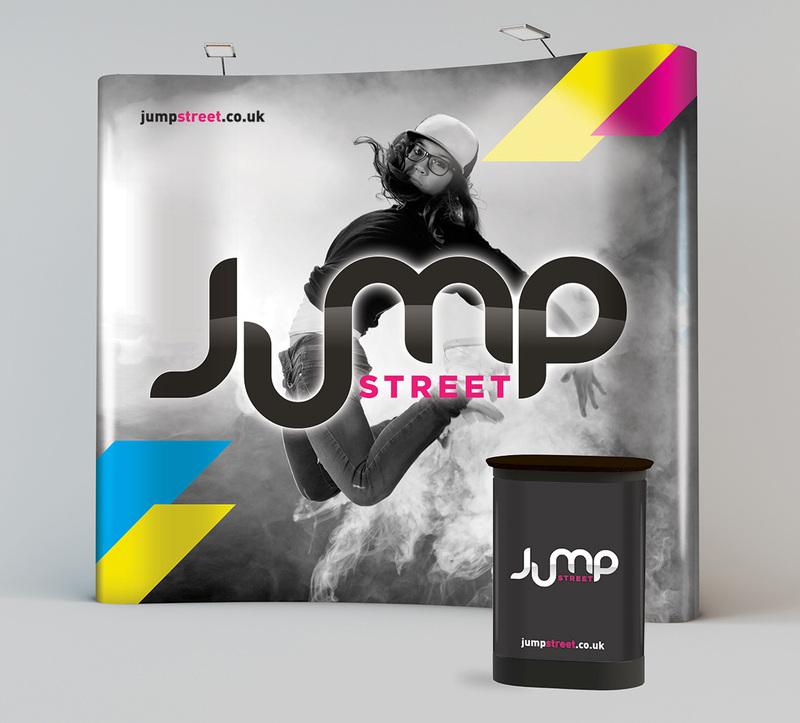 Our exhibition pop up stands are a cost effective way of looking professional at your next show. Our exhibition pop ups consist of an easy to erect, folding frame made from anodised aluminium. The panels arrive ready to be attached to the frame by magnetic strips. Everything comes packaged in a heavy duty carry case with 2 halogen lamps included. The case can also double up as a podium using the wooden table top supplied. Please note that podium graphics have to be ordered separately. The best way to get started with getting your exhibition pop up designed and printed is to get in touch with us. We can then provide you with custom quotes suited to your exact requirements.